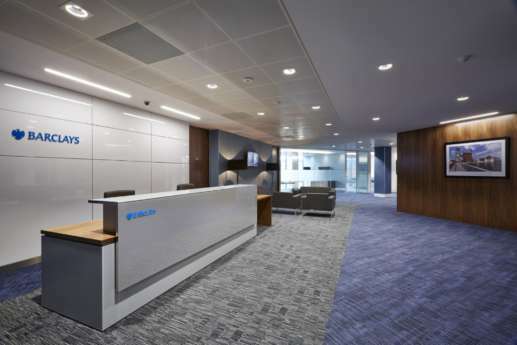 When Barclays relocated across Bristol to new offices in the heart of the city’s business district, we were on hand to convert the 4th floor shell into a fresh, contemporary work space in time for the move. 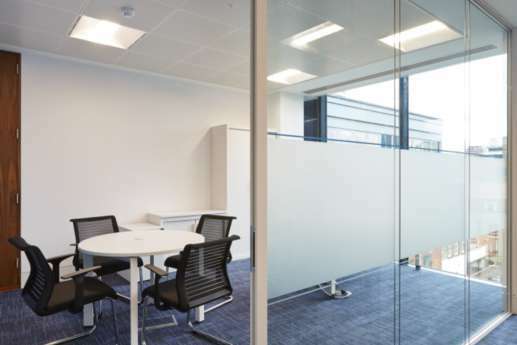 Bridgewater House has six floors with full-height glazing and atrium to maximise the natural light and enhance the feeling of space. 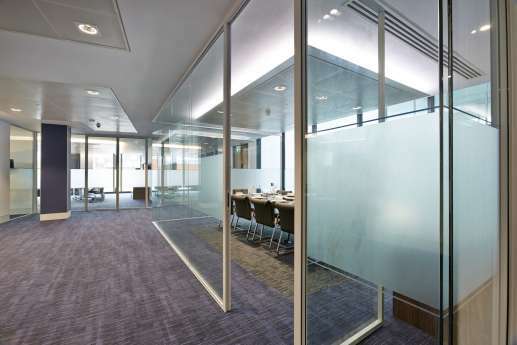 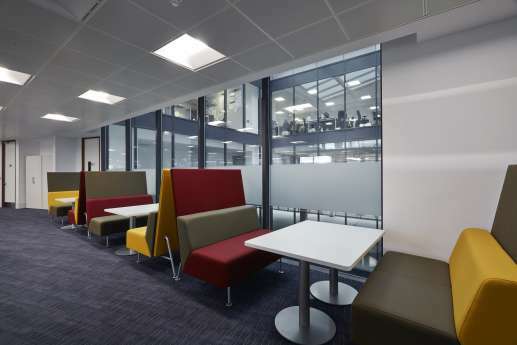 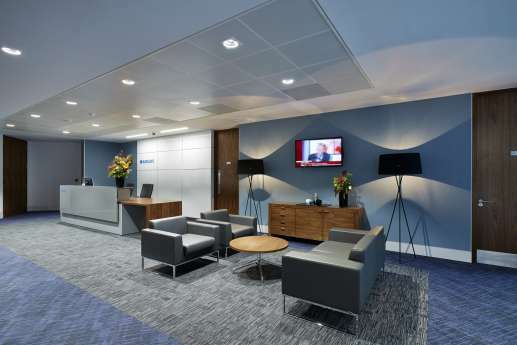 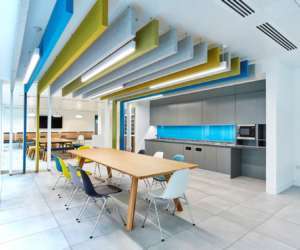 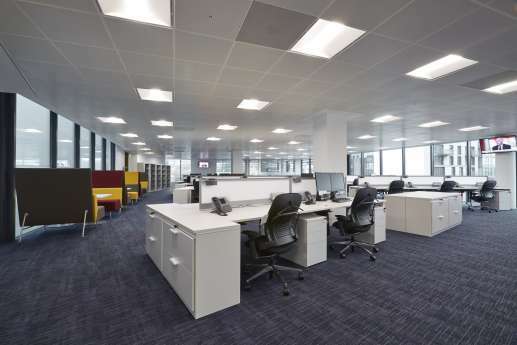 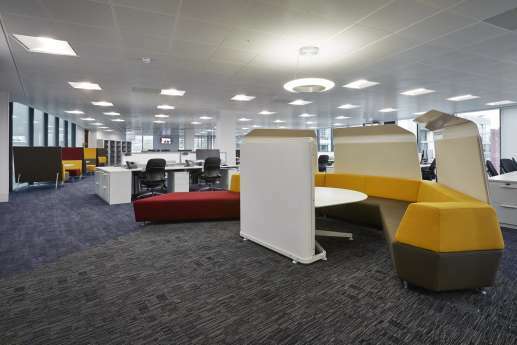 We ensured this high quality fit out was in keeping with the existing building, completing its transformation from shell to fully functional modern offices, and achieving a BREEAM 'Excellent' rating. 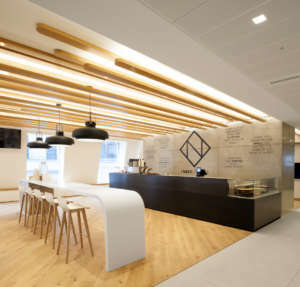 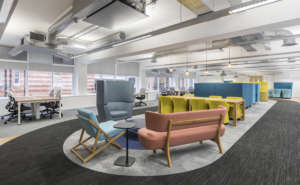 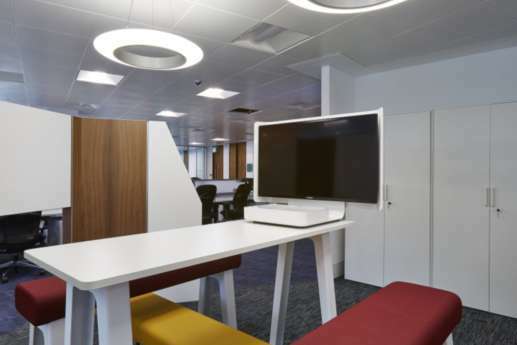 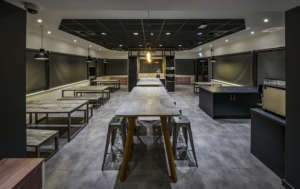 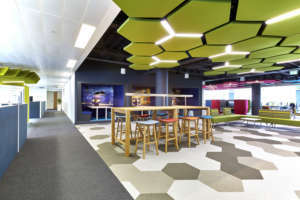 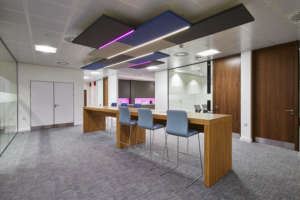 This included open plan spaces, meeting rooms, breakout areas and tea points, and installing a new reception with a large bespoke desk and feature walls using specialist joinery. 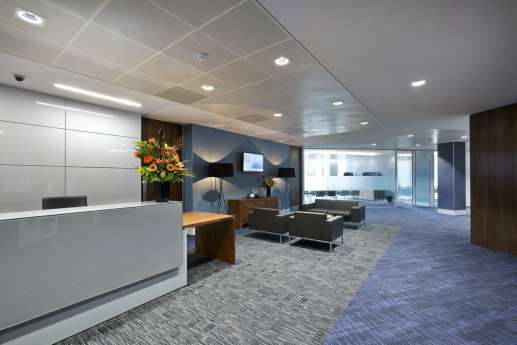 As the project involved high architectural specification, we made sure the architect was on site regularly to confirm any design changes, and help us make sure the project ran smoothly. 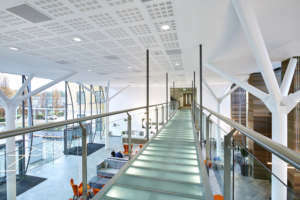 As the floor above was occupied throughout the project, we carried out any noisy work out of hours, so there was no disruption to people working in the building. 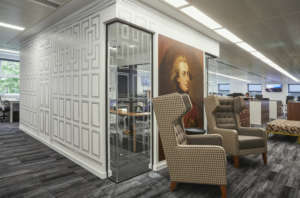 Needless to say, we completed the fit out on time.